‘Huis Rotterdam’ examines various aspects and issues of the theme of the house. From socio-economic aspects, cultural values, the situation of homeless people, to architecture and the philosophy of living. The architect Le Corbusier said: “A house is a machine for living in”. Perennial Art is a growing international artist platform, which aims to establish dialogue, cooperation and meetings with new public in a variety of exhibition contexts. Participating artists initiate exhibitions in their residential country and afterwards these shows travel to several exhibition spaces around Europe. Previous editions include: ‘Edinburgh House’ and ‘Haus Berlin’. 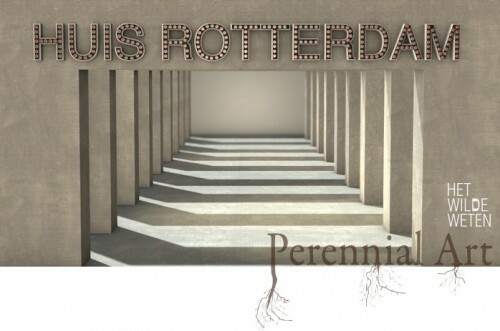 ‘Huis Rotterdam’ takes place at the artists initiative, Het Wilde Weten. In 2013 this exhibition will travel to the arts centre, The Dock, in Leitrims, Ireland.